The Chinese regime has criticised US President-elect Donald Trump over his remarks on Sunday calling into question the “One China” policy that has been the basis for US-China relations for more than four decades. Set in place by US President Richard Nixon during his groundbreaking trip to Beijing in 1972, the policy recognises Beijing as the sole legitimate government of all China, including the island of Taiwan. 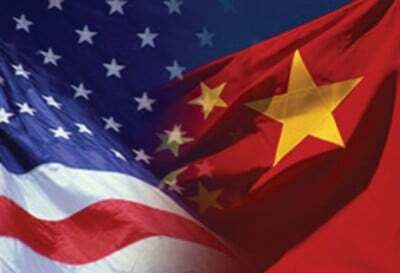 Speaking on Fox News, Trump declared that he did not see why the US has “to be bound by a One China policy unless we make a deal with China having to do with other things, including trade.” His tirade amounted to a list of demands for Chinese concessions on everything from trade and economic policy to North Korea and China’s activities in the South China Sea. Trump had already placed a question mark over the One China policy by taking a phone call on December 2 from Taiwanese president Tsai Ing-wen—the first such contact since 1979 when the US broke off formal diplomatic relations with Taiwan. On Sunday, he again defended the phone call, which had been lined up weeks in advance by his advisers, saying that it would have been “very disrespectful” not to take it. The Chinese Communist Party (CCP) regime has always regarded Taiwan as a vital “core interest” and has warned that it would forcibly seize the island if Taipei ever declared formal independence from the mainland. Beijing is further concerned that by giving succour to President Tsai, whose party supports a more independent Taiwan, Trump is also indirectly encouraging separatist sentiment elsewhere in China, particularly in Tibet and Xinjiang. The editorial underscores the reactionary character of Beijing’s response to the mounting threats posed by the US that will escalate when Trump assumes office: on the one hand, efforts to appease Washington, on the other “an arm wrestle” with the US. The CCP regime, which rests on a tiny layer of super-rich oligarchs, is organically incapable of making any appeal to workers in China, Taiwan or internationally. Its whipping up of Chinese nationalism and its military build-up play directly into the hands of US imperialism, heighten the danger of conflict and divide the international working class—the only social force that can halt the slide to war. Trump has already indicated that he will intensify the Obama administration’s aggressive “pivot to Asia” against China on all fronts—diplomatic, economic and military. In the course of his election campaign, he threatened trade war measures against China, including by declaring it a currency manipulator and imposing tariffs of 45 percent on Chinese goods. To back his confrontational policy, Trump has promised to dramatically increase the size of the US military, in particular its naval strength, which is a key element of the Pentagon’s war planning against China. By putting a question mark over the One China policy and hinting at close US relations with Taiwan, Trump is deliberately inflaming one of the most dangerous flashpoints in the world. Until Nixon’s rapprochement with China in 1972, the US supported the claim of the Kuomintang (KMT) dictatorship in Taiwan, formally known as the Republic of China, to be the legitimate government in exile of all of China and backed it militarily. Under the 1979 Taiwan Relations Act, the US continues to supply arms to Taiwan and maintains ties with its military. Most recently, as tensions escalated between Beijing and Taipei, the Clinton administration in 1996 sent two aircraft carrier battle groups to nearby waters in the biggest display of naval force in the region since the Vietnam War. The crisis was triggered by the decision of Taiwanese President Lee Teng-hui, a supporter of Taiwanese independence, to visit the US to deliver a speech at his alma mater, Cornell University. President Clinton provocatively sent the USS Nimitz and its battle group through the narrow Taiwan Strait separating Taiwan and the Chinese mainland. Obama’s opposition to Trump’s threat to tear up the One China policy has nothing to do with opposing war with China—his administration has been preparing for just that eventuality over the past eight years. Rather it is part of the extraordinary conflict that has erupted in the American ruling elite over allegations that “Russian hacking” was aimed at influencing the US presidential election in favour of Trump. The issue at stake in this escalating infighting is not whether the US should target China and Russia, but which to confront first.